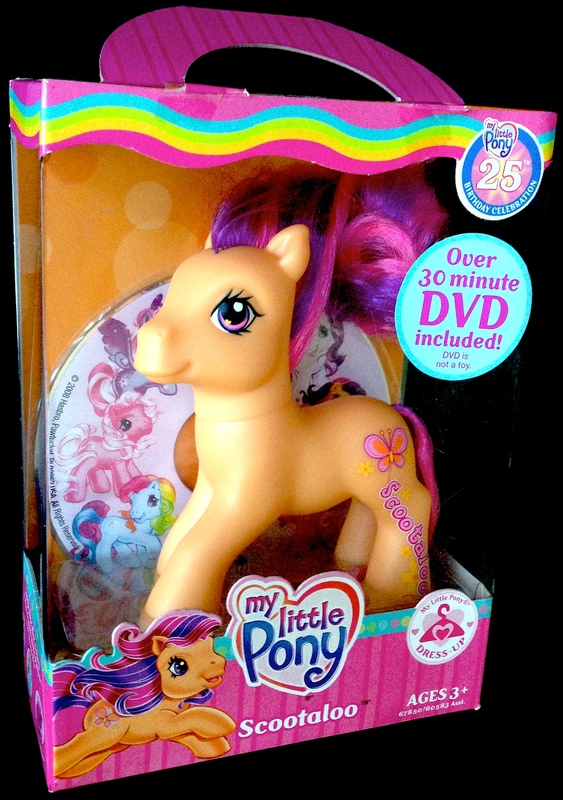 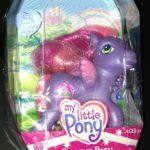 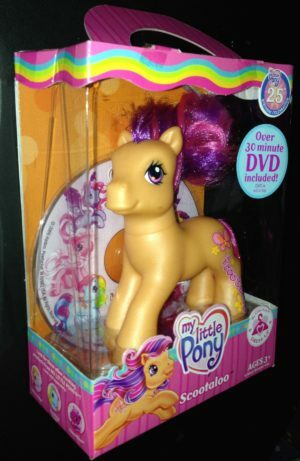 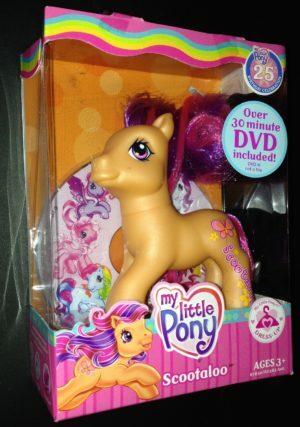 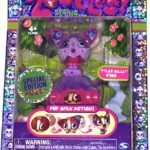 My Little Pony Scootaloo 25th Anniversary Celebration Plus DVD. 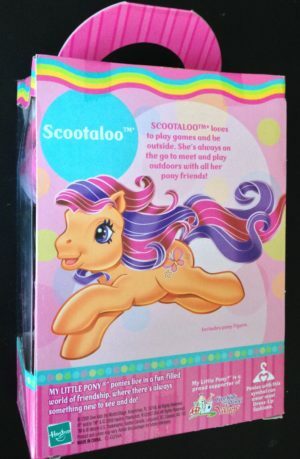 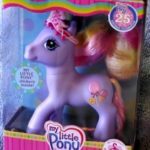 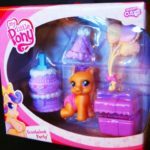 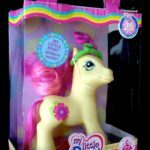 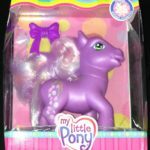 Scootaloo is a pretend play dress up pony from Hasbro’s 25th birthday celebration collection. She is an orange pony with a butterfly and her name written down her left hind leg. 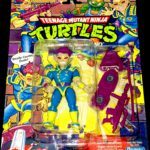 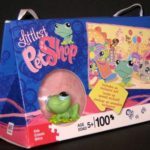 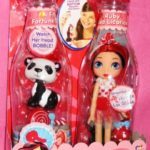 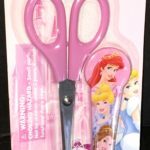 She has a pink and purple tail and comes with a 30 minute cartoon movie DVD. Scootaloo loves playing games indoors and outside. 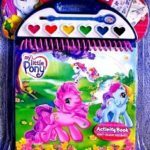 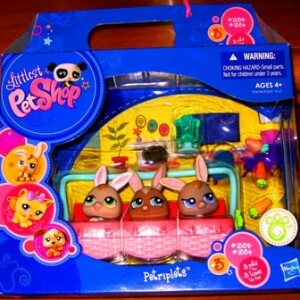 She especially love playing with her My Little Pony friends!